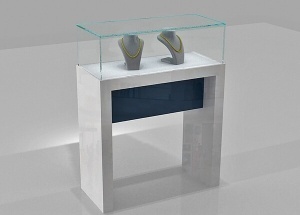 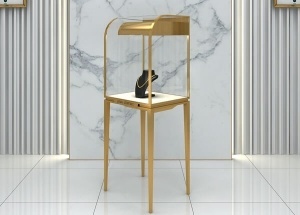 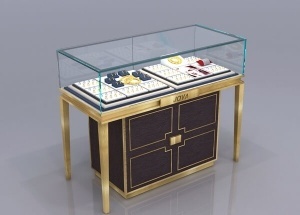 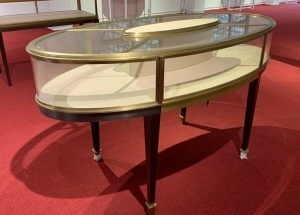 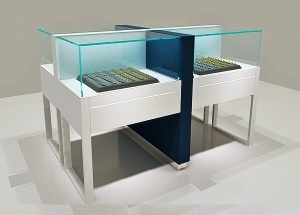 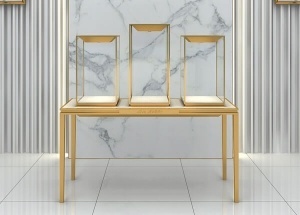 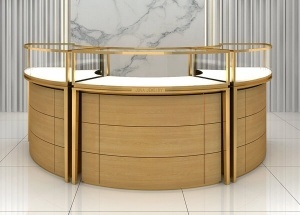 This blue jewelry showcase is divided into 4 parts. 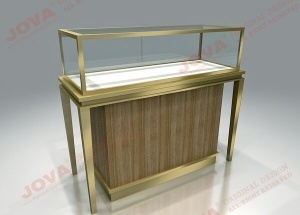 The size is L 1200mm*D 500mm*2 *H 1000mm. 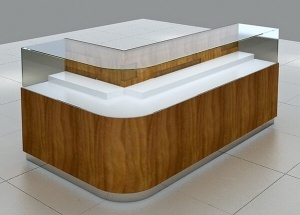 It's made by wooden(MDF),glass,LED lights,etc.